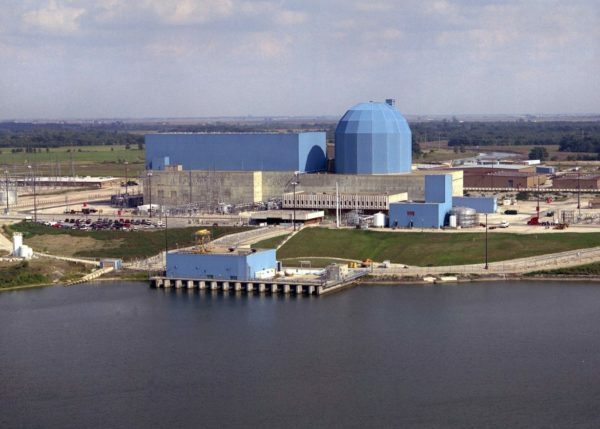 This month, Exelon decided to retire Clinton (photo above) and Quad Cities, OPPD decided to retire Fort Calhoun, and PG&E decided not to pursue license renewal for Diablo Canyon. The substantial public benefits from these six nuclear power reactors will be lost. This Commentary is about why is this happening and how can it be stopped. U.S. nuclear power plants provide significant public benefits, but get no compensation for these public benefits. The owners of nuclear power plants make decisions based on the market value of commodity electricity and capacity. When electricity and capacity prices are low (as they are today), merchant nuclear power plants lose money, regulated or public power nuclear power plants increase rates for electricity users, and new nuclear power plant projects look unprofitable. When electricity prices are high, merchant nuclear power plants are profitable, regulated or public power nuclear power plants decrease rates for electricity users, and new nuclear plant projects look more profitable. Early retirement of existing nuclear power plants and the failure to build new nuclear power plants during this period of low electricity prices results in the loss of substantial electricity system, economic, and environmental public benefits. This is a failure of the U.S. market approach to nuclear power. Market failure, an economic concept, is when the market (defined broadly) does not support activities that provide net public benefits. This can happen when firms decline to undertake activities or investments that result in private losses, even though these activities would provide net public benefits. Generic approaches to fix market failure include imposing costs on negative externalities, providing compensation to support positive externalities, and government ownership of sectors likely to experience market failure. Because market failure is about maximizing public good, these approaches usually involve government action. Carbon pricing is an example of imposing costs on a negative externality. UK incentives for new nuclear power are an example of providing compensation for positive externalities. Another example is subsidies for renewable generation. Government ownership of nuclear power, as in France, China, Korea, Russia, the UAE, and other countries, is an example of government ownership to prevent market failure. Ideas to help stop the early retirement of U.S. nuclear power plants were discussed at the DOE Summit in May, including a mention of the ANS Nuclear Toolkit. Actions to resolve nuclear power market failure can be indirect or direct. Indirect actions may help nuclear power plants, but do not directly address the market failure problem. Two examples of these indirect actions are changes to electricity markets and carbon pricing. Electricity and capacity market improvements – Electricity and capacity markets determine the revenue for merchant nuclear power plants. Electricity and capacity markets are working pretty well to achieve their design objectives (e.g., low system marginal price and reliability). These electricity and capacity markets are not designed to maximize public benefits from nuclear power. NECG Commentary #1 explained why nuclear power and other capital-intensive electricity generation technologies are not a good fit with electricity markets. If the changes to electricity markets to put value on electricity system benefits from nuclear that are not valued now, this will help. Carbon pricing – Carbon pricing is seen by some as a way to save nuclear power. Carbon pricing may help improve nuclear power economics, but may not be certain enough to save nuclear power, as explained in my recent World Nuclear News Viewpoint article. Direct compensation to nuclear power plants for the public benefits they provide (i.e., paying for positive externalities) can be an effective way to fix the market failure problem. Some examples of direct actions are discussed here. Power contracts – A power contract between a regulated electric utility and a nuclear power plant can provide stable and sufficient revenue to a nuclear power plant to prevent merchant nuclear early retirement. One example is the 2012 PPA extension for the Duane Arnold merchant nuclear power plant. The Iowa Utilities Board approved this PPA extension based on the added public benefits (e.g., no emissions, jobs, etc.) of nuclear electricity. Clean energy (or nuclear energy) mandates – State clean energy mandates would require regulated retail utilities to acquire a portion of total electricity from clean sources including nuclear. A nuclear energy mandate would recognize that nuclear power provides electricity system and economic public benefits, in addition to environmental public benefits. Tax credits – Federal or state tax credits provide direct revenue to existing nuclear power plants to compensate them for the substantial public benefits provided. “Plan A” (government ownership) for nuclear power – A move to federal government ownership, especially for economically-threatened plants, might be a way to address market failure in nuclear power. A recent article suggested the U.S. government buy coal-fired power plants to close them. This “Plan A” for coal plants was presented as an alternative to the stalled Clean Power Plan (CPP) that would achieve the goals of the CPP, but would be faster, more certain, and more legally defensible. The cost of this, including payment for taking coal plants under eminent domain, would be justified by the net benefits to society (i.e., coal plant emissions stopped). The U.S. government should consider a “Plan A for nuclear power.” The federal government would buy existing nuclear power plants that are considering early retirement in order to keep them in operation. When the electricity market prices are higher, the value of these government-owned nuclear power plants will increase. The cost of resolving market failure related to nuclear power will be seen in higher electricity rates, higher federal expenditures, lower federal tax income, or other ways. These costs can be justified by the same market failure arguments used to justify U.S. federal tax credits for renewables, state renewable energy mandates, and even EU state aid exemptions for renewables. Because the market fails to invest in renewable generation despite benefits to society (e.g., no carbon emissions), government action is needed to address this market failure. The cost to keep operating nuclear power plants from retiring early is justified by the substantial public benefits from continued operation. UK lessons for the U.S. The UK government has shown how to address market failure related to nuclear power. British Energy, the owner of UK nuclear power, experienced financial problems as a merchant generator in the UK electricity market. To avoid the early retirement of nuclear power plants, the UK government re-nationalized British Energy in 2005. The UK government decided that new nuclear power capacity should be built, even though the UK electricity market and carbon pricing would not support new nuclear power investments. The UK government implemented the Electricity Market Reform (EMR) programme to facilitate incentives for new nuclear power projects, starting with Hinkley Point C.
In contrast to the UK, the U.S. government has done little to save economically-threatened operating nuclear power plants or to provide incentives for new nuclear power plants. Market failure for U.S. nuclear power is caused by the failure to compensate nuclear power plants for the substantial public benefits they provide, forcing owners to make decisions based on market value. If there is no action to resolve this market failure, even more operating nuclear power plants will retire early and no new nuclear power plants will be built. Actions to provide compensation to nuclear power plants are the most certain way to resolve this market failure. Only the government can provide this compensation. We need action by the federal government now, if the U.S. nuclear power industry is to survive. Net public benefits are from activities with total benefits (public and private) greater than total costs (public and private).